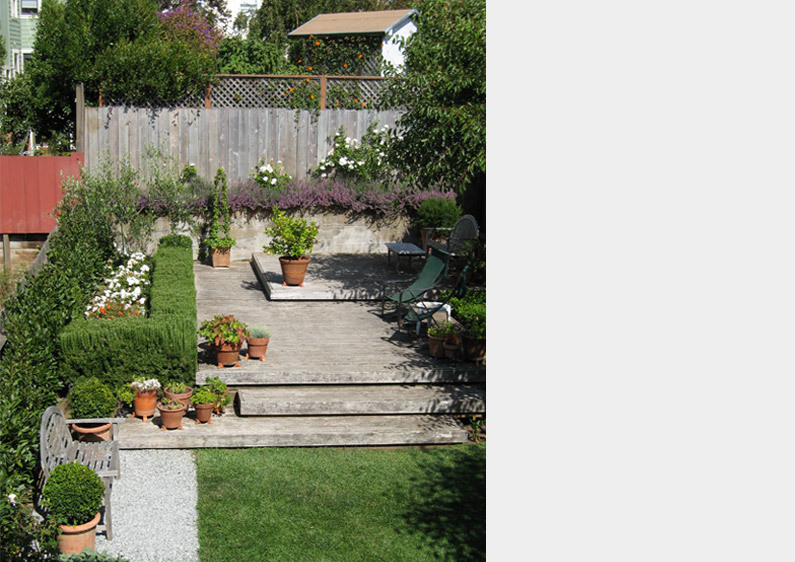 The renovation of this garden began after the loss of a neighbor’s redwood tree opened up the once shady garden to full sun. The owners wanted to replace all of the planting but retain the existing wood decks. A new lawn extends from the decks towards the house, providing a level place for children’s play. A small gravel terrace located at the edge of the lawn contains a wood bench flanked by topiary boxwood. Bay laurel, boxwood and rosemary hedges provide year-round structure for the garden. Most of the other plants are white flowered, including three aristocrat pear trees and climbing iceberg roses on the fence at the back of the yard. 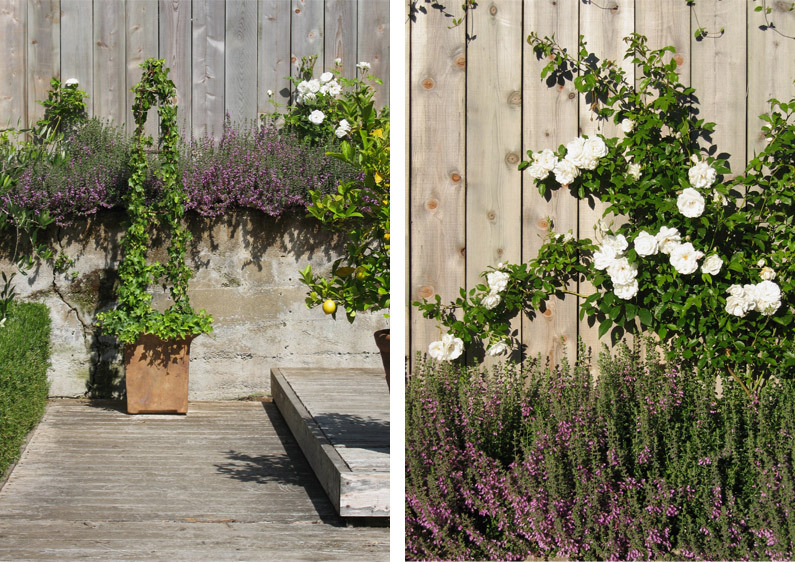 The sunny north side of the garden is planted with white roses and a small perennial herb garden.